We often don't realize how important something is until it's gone. 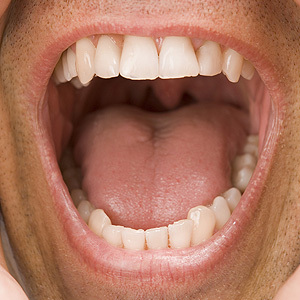 Like saliva: you're usually not aware that it's cleaning the mouth, neutralizing mouth acid or helping with digestion. But that could change if your saliva flow drops below normal: your health may soon suffer with your mouth taking the brunt. In particular, reduced saliva flow increases your risk for tooth decay and periodontal (gum) disease. Both diseases are linked to oral bacteria. While many of the myriad strains in the mouth are beneficial, a few bacteria can infect and inflame gum tissues. Bacteria also produce acid, which can soften and erode enamel and make the teeth more susceptible to decay. Saliva inhibits bacteria in a number of ways. It first clears the mouth of leftover food so not as much stays behind to form bacterial plaque, a thin film of food particles that builds up on teeth. You still need to brush and floss daily to remove plaque, but it's less effective without saliva's cleansing action. Saliva also contains antibodies that destroy disease-causing bacteria and other organisms, which keeps their populations in the mouth low. One of saliva's most important functions, though, is buffering acid. The mouth's ideal pH level is neutral, but many foods we eat can cause it to become more acidic.Â Even a slight acidic rise after eating can soften the minerals in enamel. But saliva goes to work immediately and usually restores normal pH within a half hour to an hour. It also aids in re-mineralizing the enamel. For these reasons, it's important for you to find out the cause of chronic dry mouth and treat it. If it's a side effect of your medication, talk to your doctor about an alternative, or drink more water before and after you take your dose. Certain products can also stimulate saliva flow, like chewing gum with xylitol, an alcohol-based sweetener that has dental health-protecting properties too. Although you often don't notice this unsung bodily fluid swishing in your mouth, it's important that you take care of it. Keeping your saliva flowing will help ensure better oral health.